Francis Yapp is Lecturer in the School of Music at the University of Canterbury. His research interests focus on music in ancien-régime France. 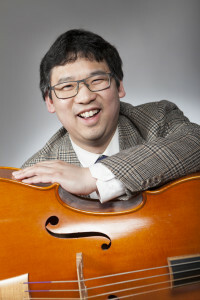 His PhD thesis, completed in 2012, explored the cello and its repertoire in early eighteenth-century Paris. Recently, he has also been exploring connections between music and Catholic liturgy and devotion in eighteenth-century France. Francis is also active as a performer (baroque cello, viola da gamba, countertenor), with a particular interest in music from the medieval to baroque. He is a member of the New Zealand Musicological Society (Canterbury regional representative) and the Musicological Society of Australia. Francis was elected to the committee in 2016.